In an attempt to work our way through Jerry Slater’s overwhelmingly vast cocktail menu, Nicky and I headed back down to H. Harper Station last week to finish off the drinks in the whiskey sections of the menu. Joining us for the late night tasting were The Piper and our fellow performer Trixie, both of whom encouraged while they sipped dark ale and white wine. The Vieux Carre is a classic cocktail from New Orleans. 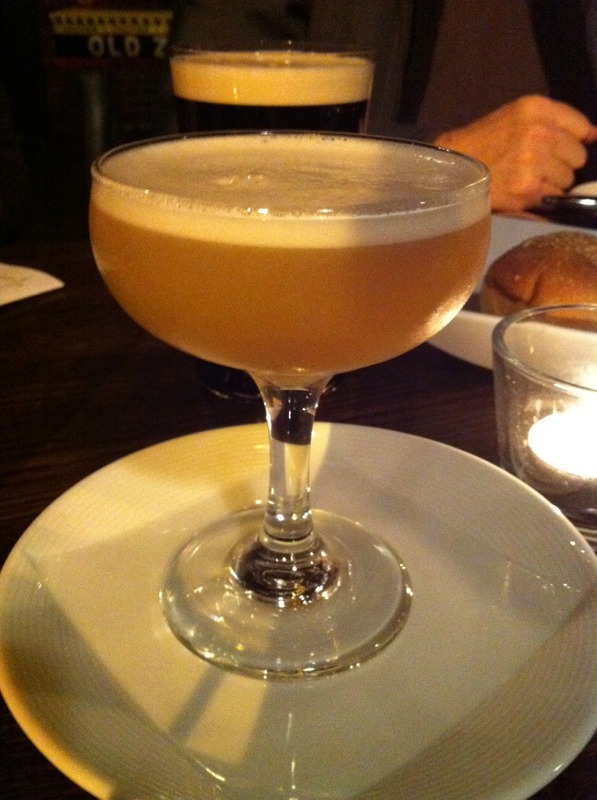 (Nicky and I will be doing a lab tasting of this drink later in the year as a part of our Vintage Cocktail project.) Walter Bergeron created this cocktail at the Hotel Monteleone in the 1930s, and gave it the French name for “old square,” referencing the French Quarter. Eighty years later, it is still a specialty of the hotel. 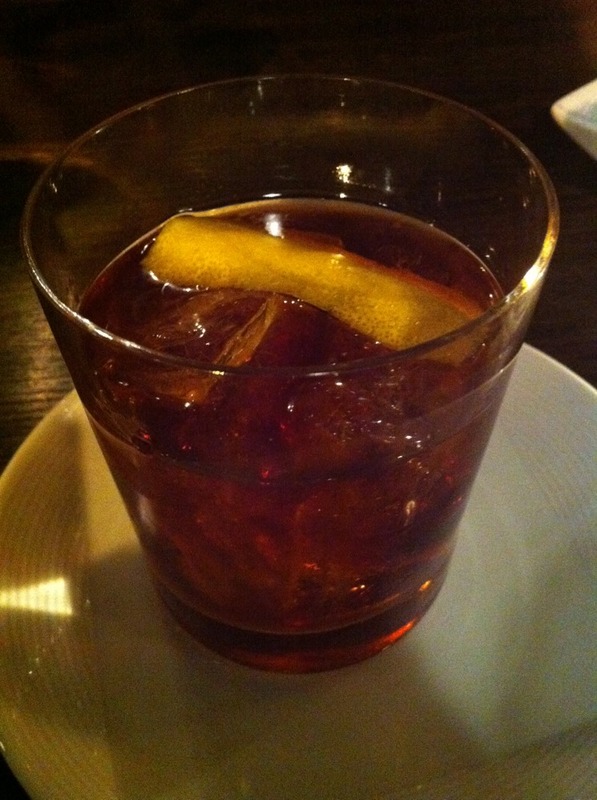 Slater does this classic well using Sazerac, Pruinier VS, and Carpano Antica. The result is a perfect cocktail with great lemon aroma, overtones of Carpano Antica, layers of flavor, and a strong herbaceous presence. I could take this on as a new favorite. Slater’s original Wooden Teeth is an interesting blend of Old Overholt rye with Cocchi Aperitivo Americano – a white wine aromatized with herbs and spices. Ginger is added and the drink is finished off with house-made vanilla cream soda. 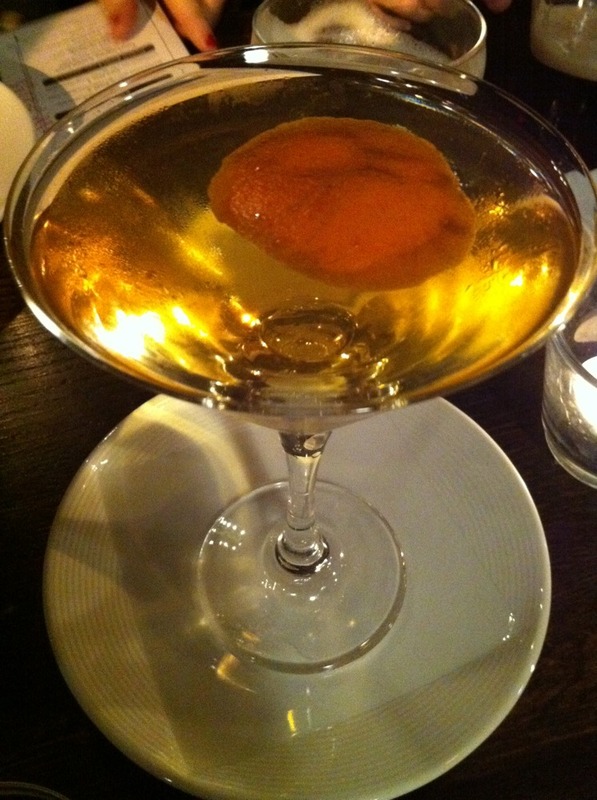 The vanilla smooths out the edge of the rye and complements the herbs of the Aperitivo Americano well. You get just a slight hint of the ginger. The cream soda provides only a slight sweetness, but not much. I really wish I had asked about the backstory on Portrait of a Bartender. Another original creation, I’m sure there is a great story here. I found this recipe to be a bit too heavy on the St. Germaine. The floral and citrus flavors of St. Germaine can easily overpower. The idea of pairing this liqueur with the Jameson is nice, and the addition of the orange bitters and orange strip works. My only thought would be a bit less of the St. Germaine. The drink that made me truly giggle was the RCMP. Named for the Royal Canadian Mounted Police, this fluffy, sweet little cocktail blends Forty Creek Canadian whiskey, a bit of grapefruit, maple syrup and egg white. (The only thing missing was a side of bacon!) The drink truly was too sweet for my taste, but I greatly appreciated the thought and blend of this cocktail. I had a hard time finding the grapefruit, but I’m sure it was the component that was cutting the sweetness from being totally overwhelming. It was quite the tribute to our northern neighbors and I’m still smiling. While there are lots of Black and Blue cocktail listings and recipes, I’m pretty sure this is another original. 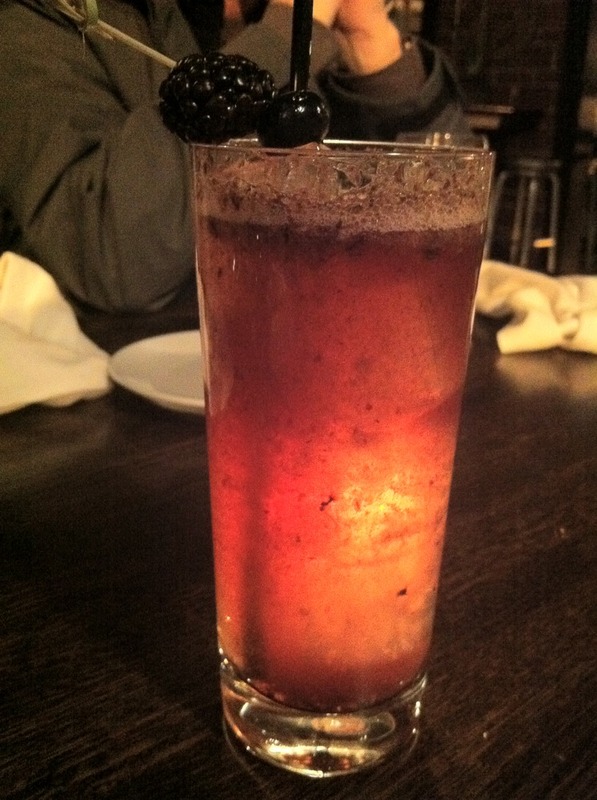 Again, Slater hits the mark by pairing berries with Jim Beam Black. Blackberries, blueberries and vanilla partner well with the bourbon. A dash of Peychaud bitters and a splash of soda finish off this refreshing cocktail. I’m looking forward to revisiting this one as a summer drink. If you missed our first review of drinks at H. Harper Station, go back read H. Harper Station: A Perfect Stop, and look over the tasting notes on 10 of the drinks. We’ve heard that H. Harper Station is embarking on a series of Whiskey pairing dinners over the next few months. First up is a night of Heaven Hill Whiskey on March 1. The prix-fixe will include a reception, an exceptional dinner menu with a whiskey tasting and a cocktail with each course, and a Q&A opportunity with a brand ambassador from Kentucky. Check out the H. Harper Station website for details on this event and join Nicky and I for this fun night out.